I am obsessed with Christmas, well all holidays actually but Christmas… well it’s just different. I love that it’s an opportunity to spread ‘goodwill among men’ and this year I am ALL about the goodwill. 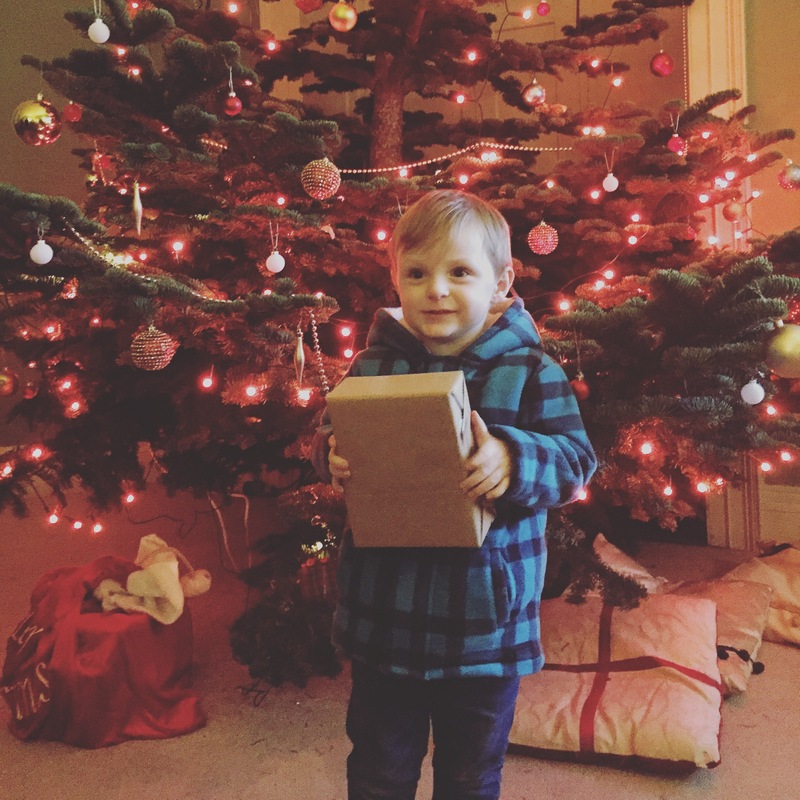 As we grow up, Christmas can become less ‘magical’ and more about the stresses of grown up life like ‘can we afford Christmas’ and ‘what will we buy our family’. When we are little it is ALL about the magic! 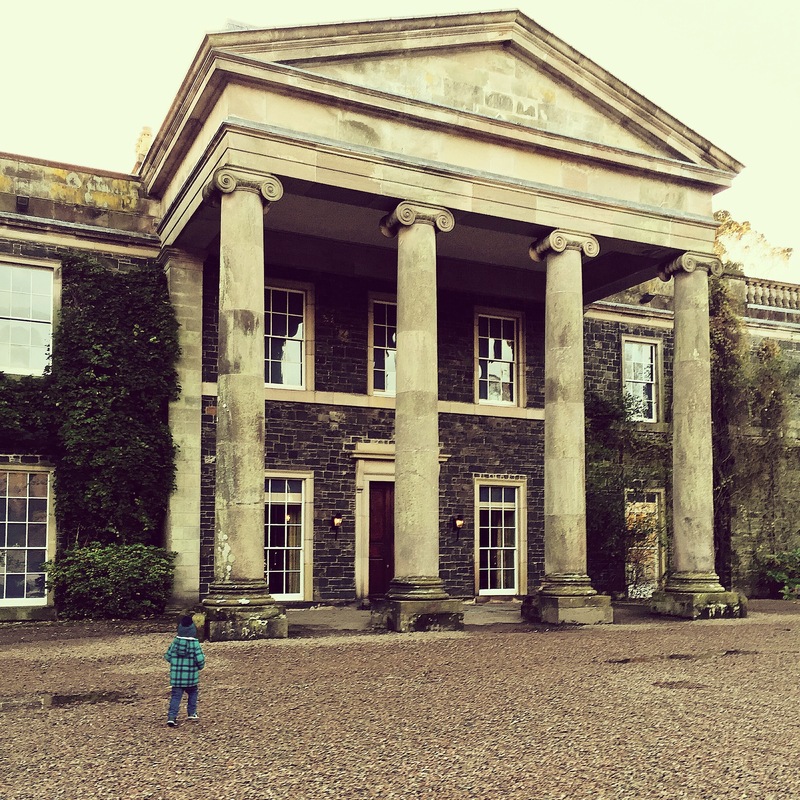 Yesterday we went along to see Santa Claus himself at one of my favourite places – Mount Stewart. It’s a fabulous house with gorgeous gardens and a cosy coffee shop. It was a magical experience from start to finish. Theo got his ticket and had a ride on the Santa Express with 2 very jolly elves, up to the Temple of the Winds, where the head elf showed him around. 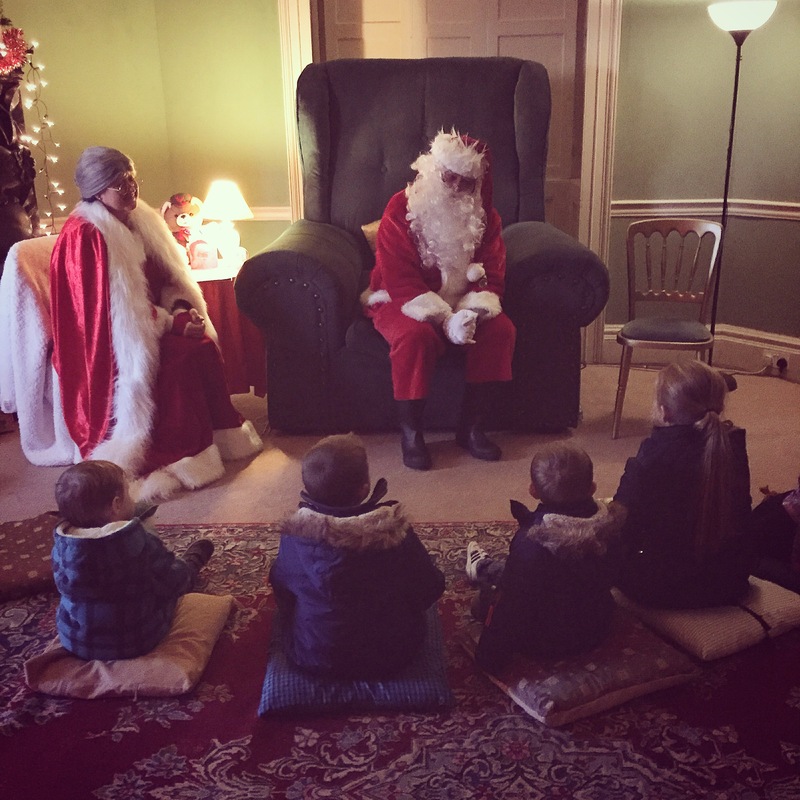 After some hot cider and shortbread it was time to head up the winding staircase to see Santa and Mrs Claus in a beautiful cosy room with giant furniture and a stunning Christmas tree. 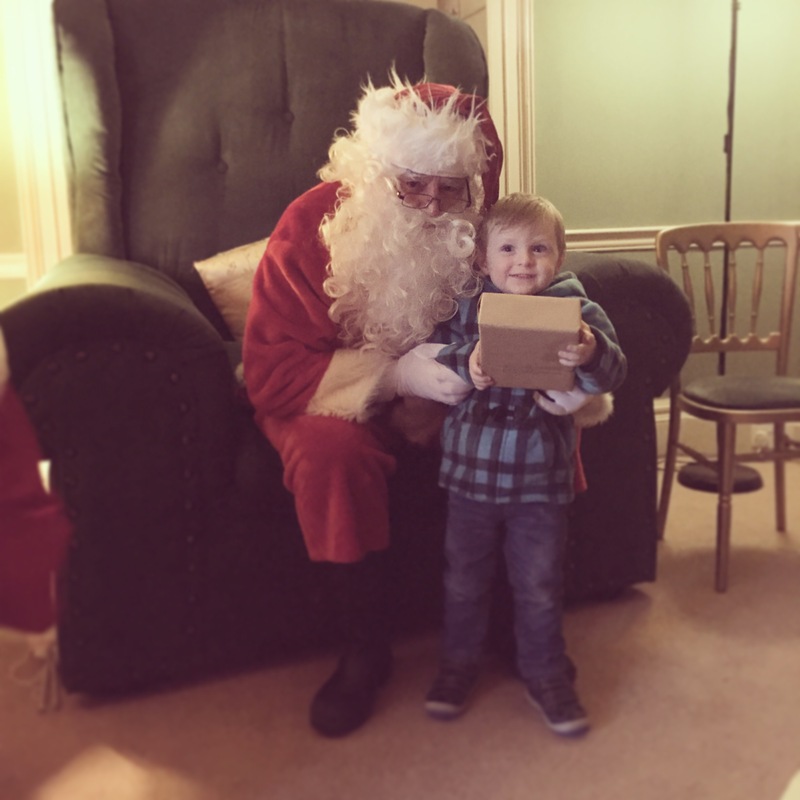 He had time to chat to Santa, hear a story and got a beautiful present. It was a wonderful experience and I would highly recommend it. It’s a memory that will last us all forever. This year the contrast between the magic and colour of Christmas and the dreaded greyness of ‘January’ will be very apparent in our house. I find the really apparent every year actually. Shopping centres go from being beautiful, with lovely displays and lights, to being messy and mixed up, with sales and broken things everywhere. It snows in December and everyone loves it, it snows in January and it’s a disaster! We use it as an excuse to visit people we love, tell them we love them in cards and show them we love them by giving gifts… it’s just magic. I’m booked in for my scan on the 9th of January, this is the scan that will tell me if my cancer has gone, or where I’ll need more treatment. On the 28th of December I have to start my ‘low iodine’ diet meaning that pretty much all food is literally off the table for a fortnight. I have to be away from Theo for a week due to the radiation. It’s the time that will drag me kicking and screaming out of my little festive positive bubble and into the real world. The way I see it though, it’ll come whether I worry about it or not, and I chose not. I’m not going to waste a second of my lovely Christmas worrying about it. In the words of Roy Wood, ‘I wish it could be Christmas everyday’ but it can’t. ‘January’ will come whether we like it or not, whether we’re ready or not. We are given a limited number of happy days, special days, days with loved ones and there is no better time to enjoy it than at Christmas.